To lessen, and someday end, religiously-based violence and hatred, all members of a community must be fully educated about the realities of a living in a diverse society. What’s more, citizens must recognize the responsibility we have to protect the rights of others. In recent decades, many communities have experienced a dramatic increase in diversity, which has sadly also corresponded with an increase in violence and hate speech across all levels of society. Unfortunately, there has been little in the way of resources and training, despite educators navigating religious freedom and religious literacy issues every day, whether in their curricula or in the interactions they have with students, parents, and community members. The Religious Freedom Center has extensive experience in providing First Amendment education programs. 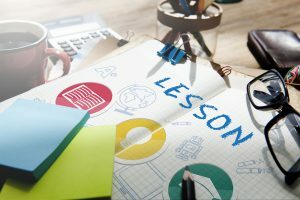 Through a series of blended and online learning course, we bring teachers into contact with national experts to help them skillfully negotiate issues relating to religion and public schools. Learn more about our Educators program by visiting the sections featured below. Through a series of blended learning and online classes, we provide educators with guidelines and strategies for creating school communities that prepare students for ethical and engaged citizenship in a diverse democracy. Our course catalog provides a brief written overview of each course as well as a course trailer. Constitution 2 Classroom is our new on-demand professional development program. Through a series of modules and courses, educators can examine theories and methodologies, evaluate case studies, and explore how to incorporate religious studies into their current curriculum. Our staff, faculty, and partner institutions produce a wide range of First Amendment educational resources relevant to the work of religious and civic leaders. A selection of available textbooks, lesson plans, and discussion guides are compiled here; many can be downloaded or printed directly from the site. 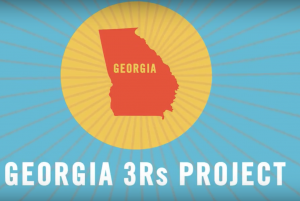 The Georgia 3Rs Project, led by Religious Freedom Center of the Freedom Forum Institute, is a three-year initiative designed to create a First Amendment framework for promoting religious literacy and religious liberty in Georgia public schools.